Wade D. Fulford focuses his practice on business litigation and includes diverse areas of law: civil litigation, insurance regulation, governmental defense, healthcare, medical malpractice, contracts, insurance defense, employment disputes, general tort liability, toxic tort exposures, premises liability, real estate, intellectual property, environmental and regulatory compliance disputes. Wade is also a Registered Civil Mediator utilizing his litigation and risk management background. 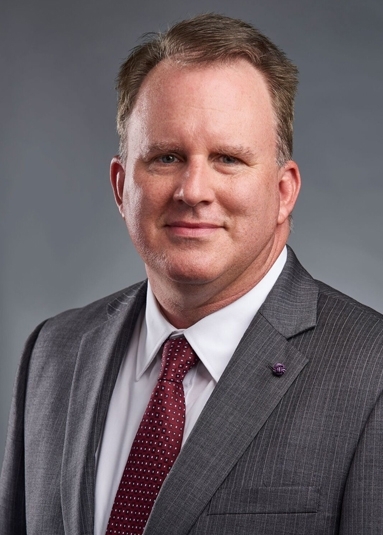 His experience includes serving as Deputy General Counsel and Director of the Indiana Patients’ Compensation Fund at the Indiana Department of Insurance, Senior Litigation Counsel at one of the largest law firms in the Indianapolis area, as well as, as Senior Counsel for a boutique law firm specializing in nationwide credit reporting litigation. Wade’s diverse background has exposed him to a wide range of clients, legal issues and courts around the country. Additionally, Wade has represented small businesses in a variety of areas including business formation, contract negotiations environmental and compliance disputes. His experience handling a variety of complex and challenging legal issues provides him with the perspective and knowledge to represent clients in many arenas. During his tenure at the Indiana Department of Insurance, Wade also served as an Administrative Law Judge on enforcement and regulatory issues. As Director of the Indiana Patients Compensation Fund for medical malpractice claims, Wade managed the defense of the PCF and more than 1300 compensation claims in excess of $850 million. Wade has published articles and presented at seminars on the subjects of litigation issues, insurance law and electronic discovery. Recently, Wade obtained his mediators certification and will be mediating litigation and medical malpractice matters. Wade’s community involvement includes serving as a member of the Zionsville Economic Development Commission, Boone County REMC Advisory Committee, and speaking on behalf of the Riley Children’s Hospital fundraising efforts. In his spare time, Wade enjoys participating in league sports including tennis, running and biking events. Planning Your First Injury Case, ICLEF, August 2017. Advanced Civil Mediation Seminar – The Best In The Business, ITLA, April 2017. Legislative Update and Emerging Trends in Healthcare Litigation, DTCI Seminar, November 2016. Indiana Medical Malpractice: How It Works & How It Is Changing, Indiana Department of Insurance Seminar,September 2015. "Reflections on ICLEF training from a newly minted mediator," The Indiana Lawyer, October 3, 2018.